Sometimes love radiates from a core we cannot find; Our feelings seem to emanate from beyond the realms of time and space. When you find your love, you may not understand how or why but you will understand that your connection is true, pure, and meant to be. It can be hard to find the words to express feelings like yours. 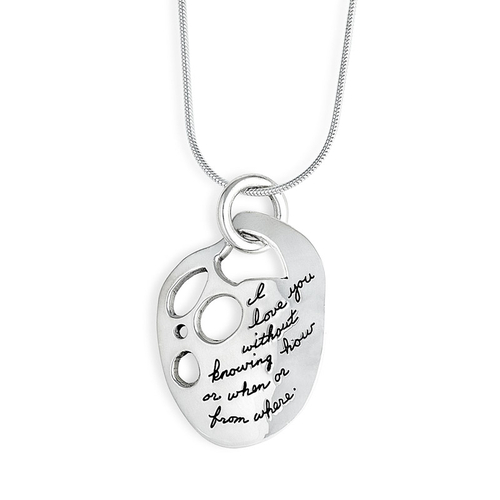 So, let this meaningful necklace speak for you. 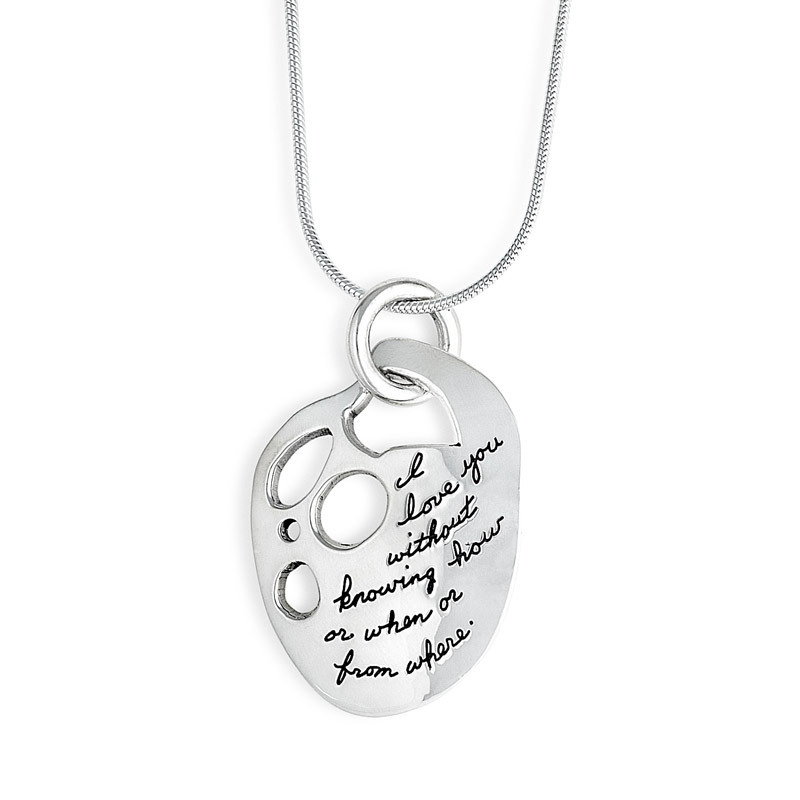 A shining sterling pendant features distinctive pebble cutouts and fanciful engraved handwriting. The smooth sterling silver chain adds an elegant touch. The verse comes from the collection 100 Love Sonnets by Chilean poet Pablo Neruda. You can read the full verse below.